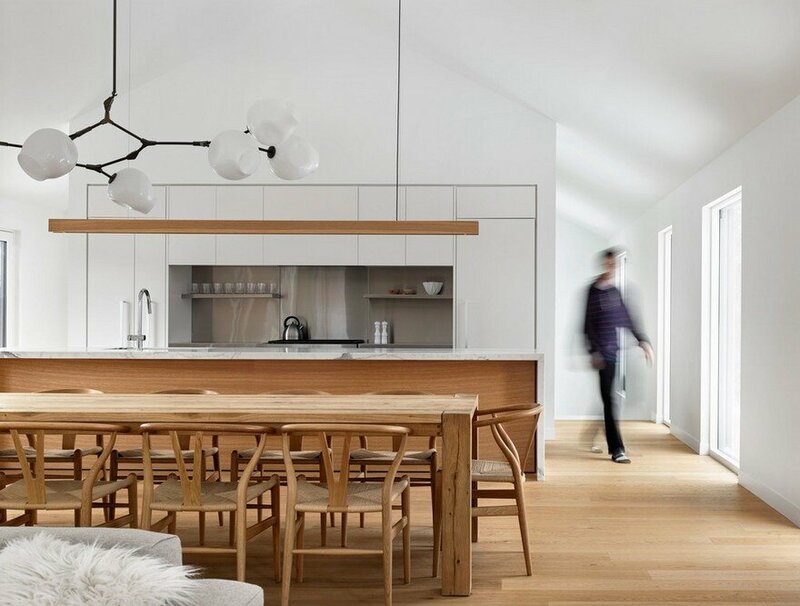 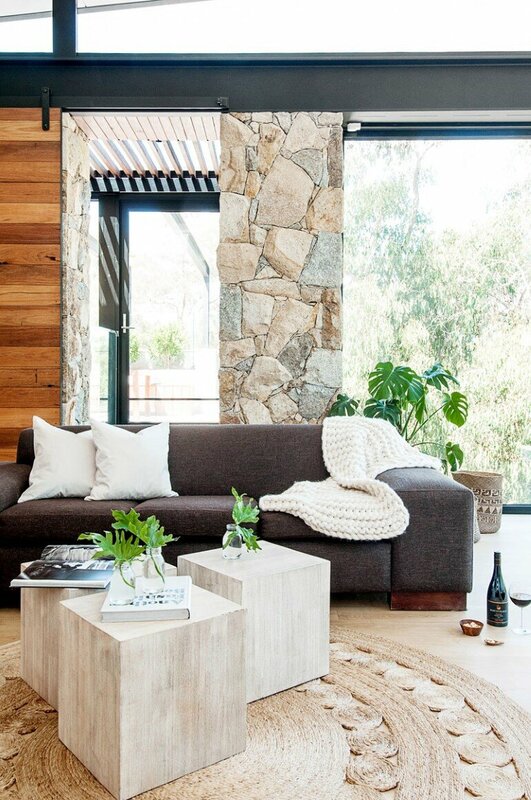 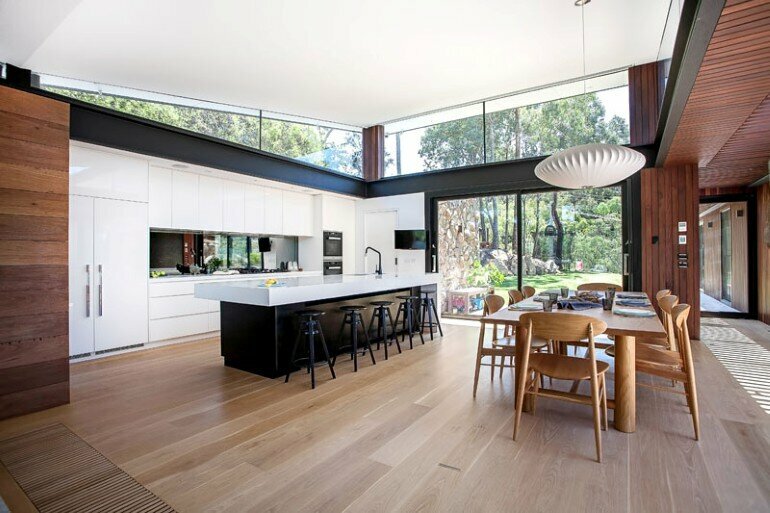 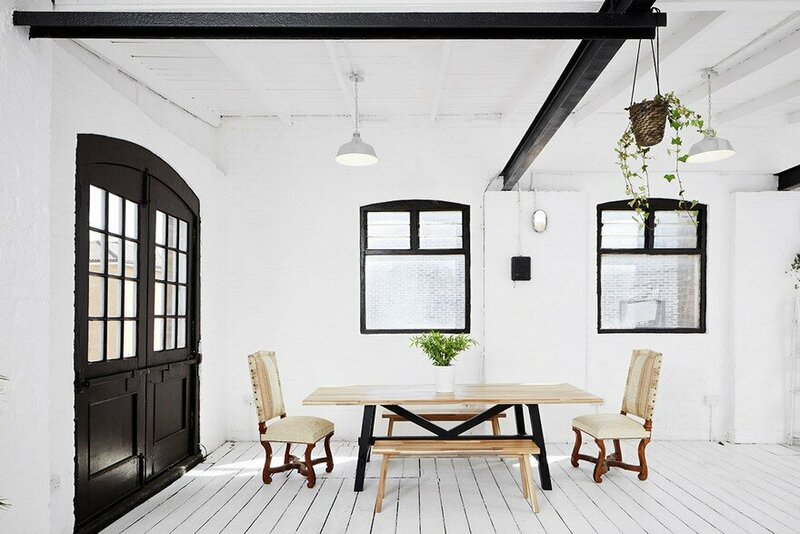 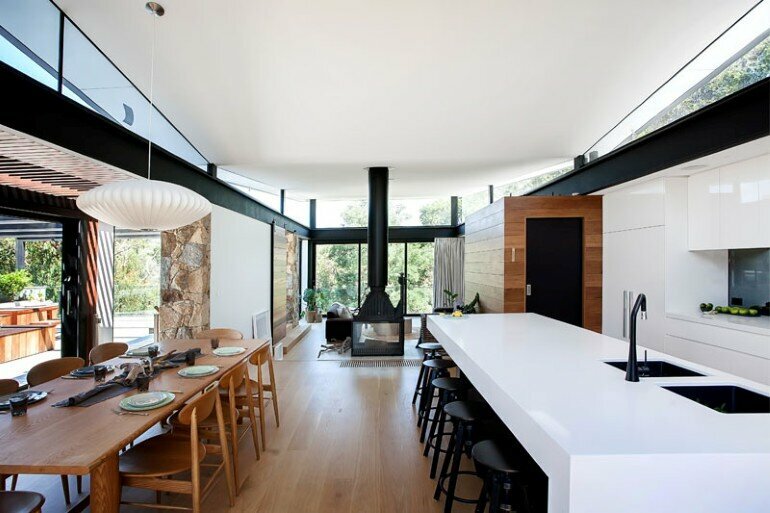 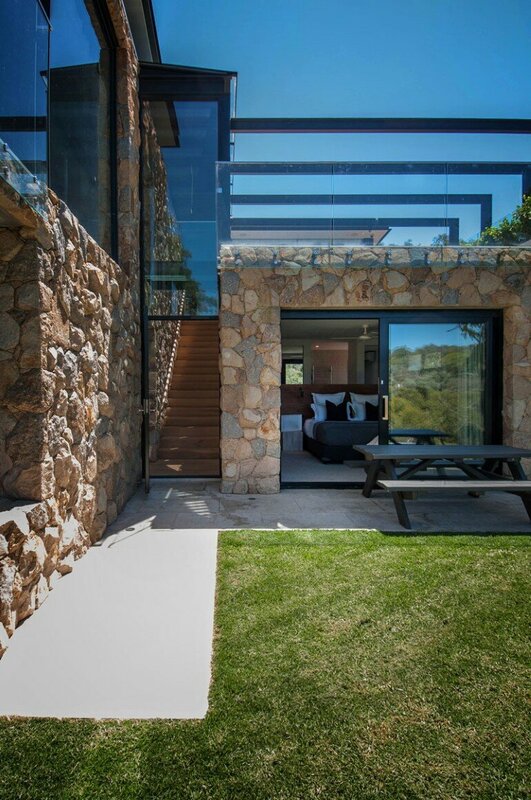 North Warrandyte House is a project completed by Alexandra Buchanan Architecture in Victoria, Australia. 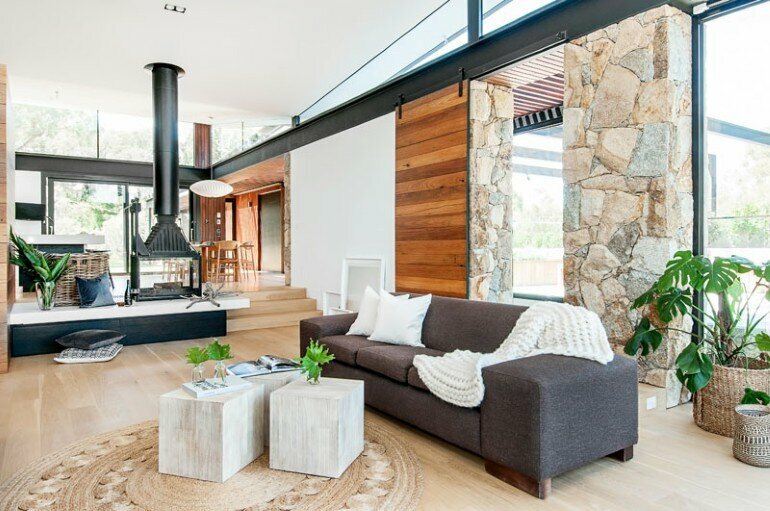 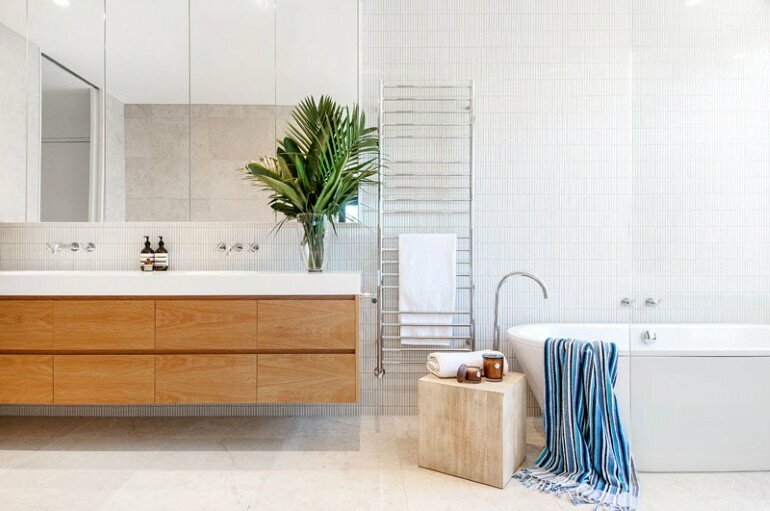 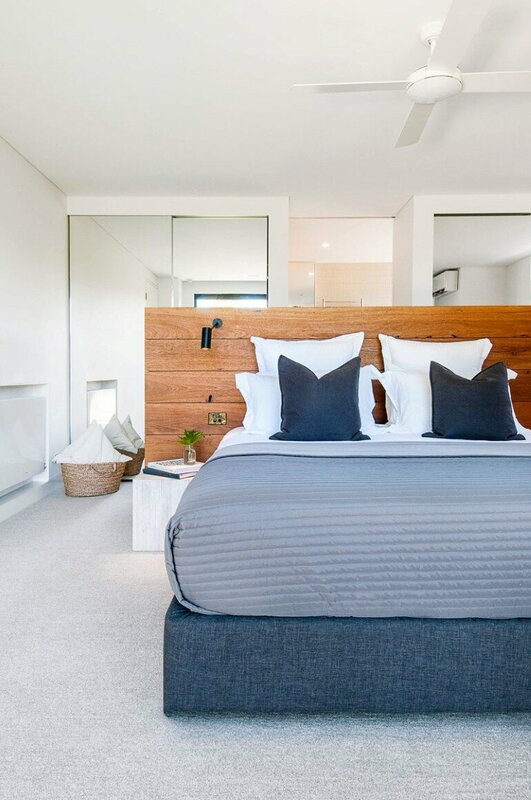 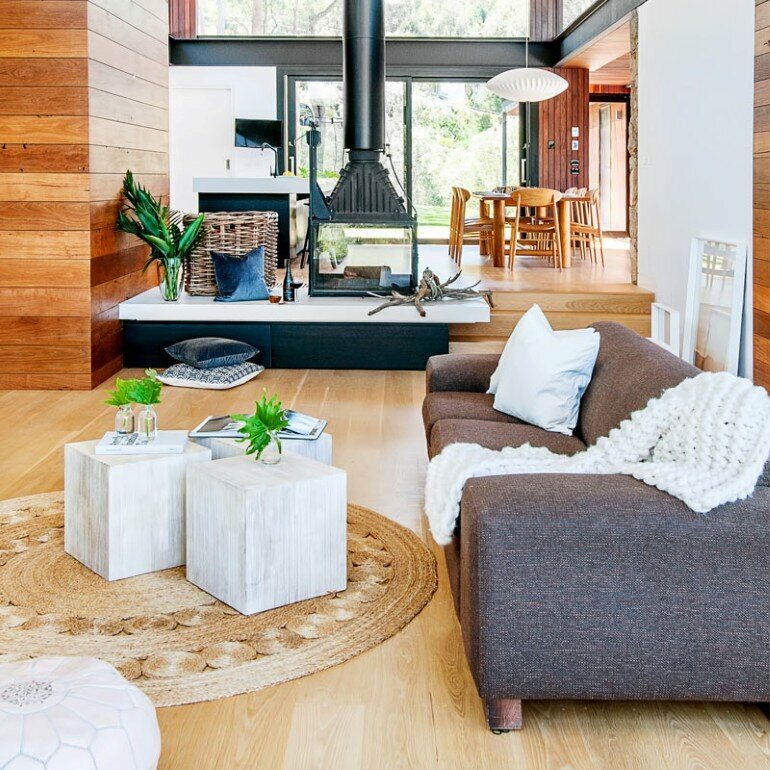 A contemporary bushland house designed for a young family that love the outdoors and entertaining, this Warrandyte site occupies a prime location perched above the Yarra River in stunning bushland. 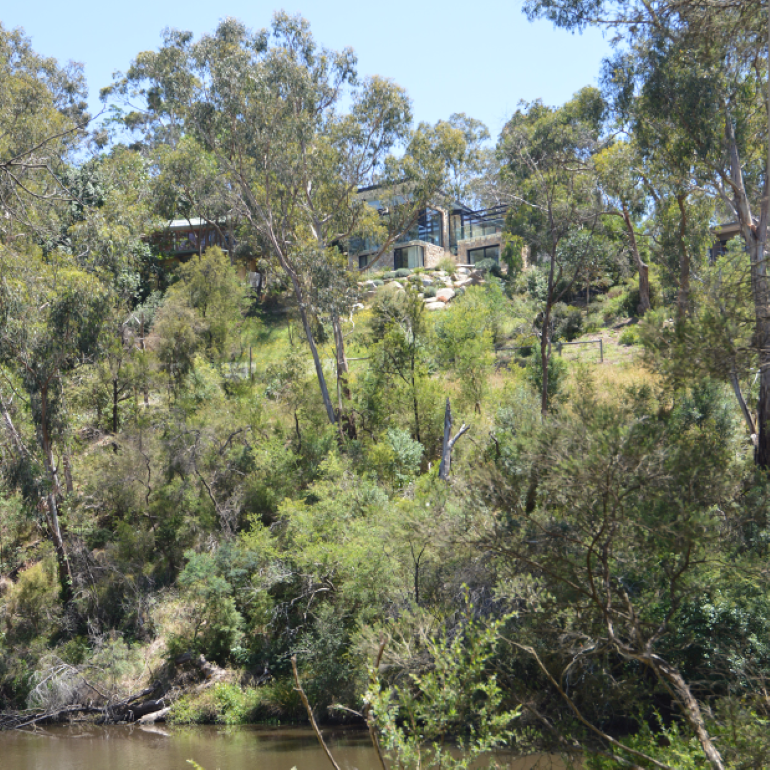 Description by Alexandra Buchanan: Covered in trees, with restricted access and falling steeply to the river, the site posed a number of design challenges, including Environmental and Bushfire Overlays. 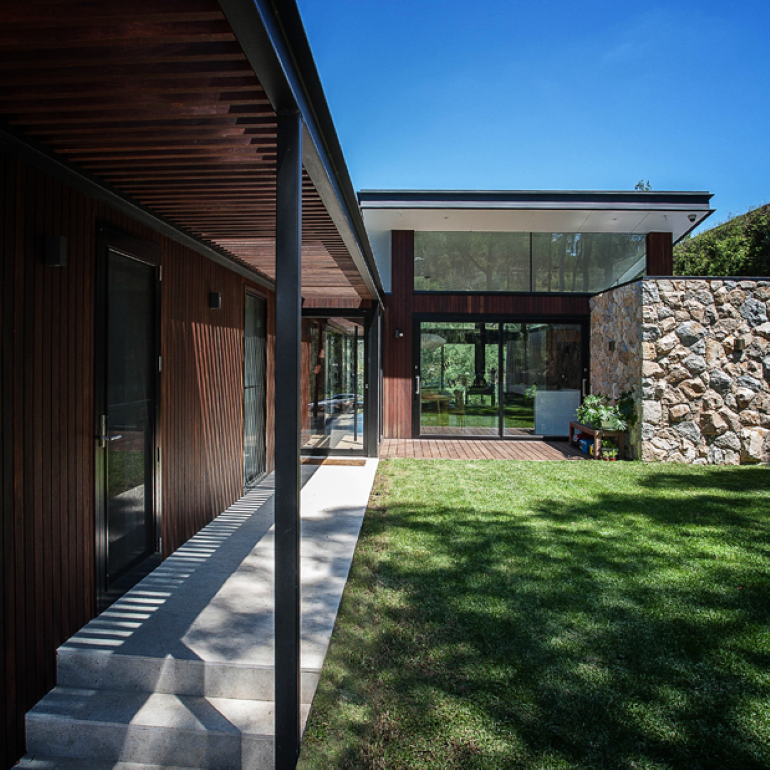 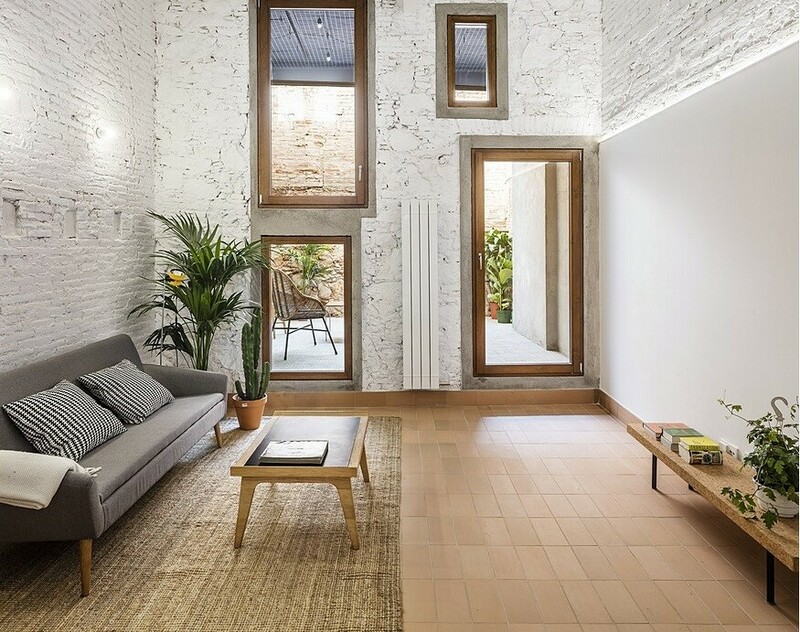 The views, orientation, topography and context generated the form and materiality of the house. 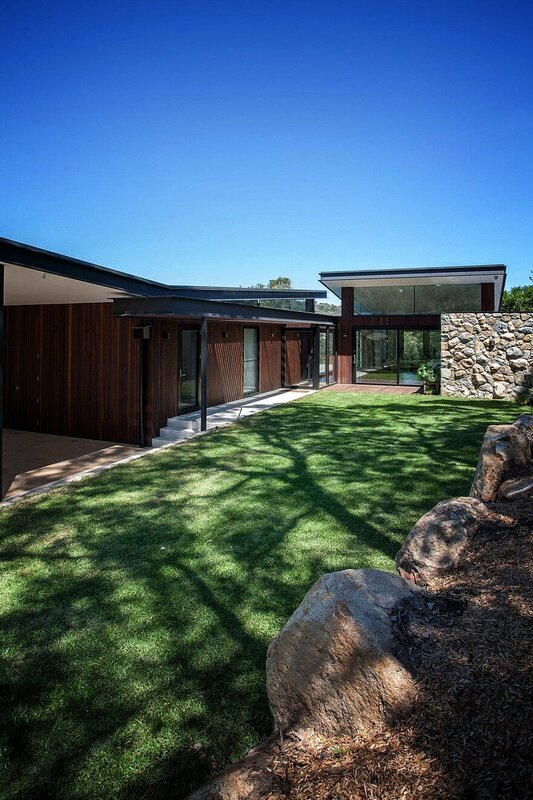 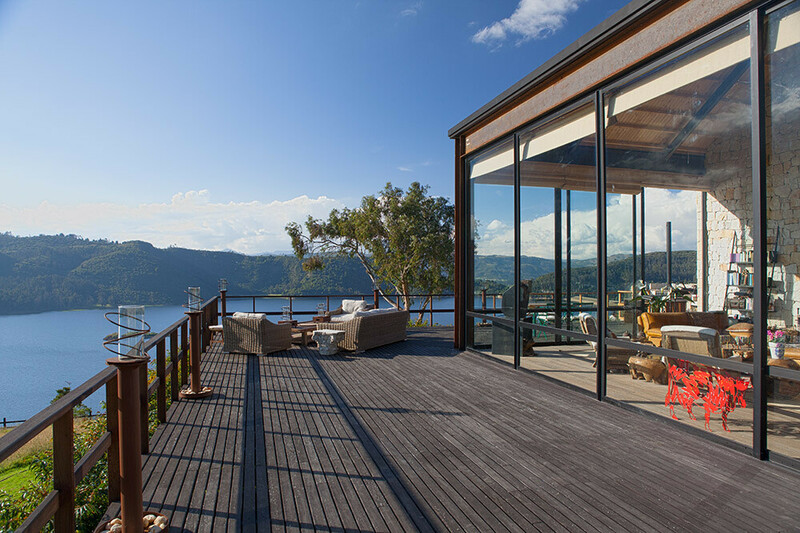 The house’s dual wings slide with the landscape to articulate privacy for neighbouring properties while maximising views, daylight and access to external entertaining spaces. 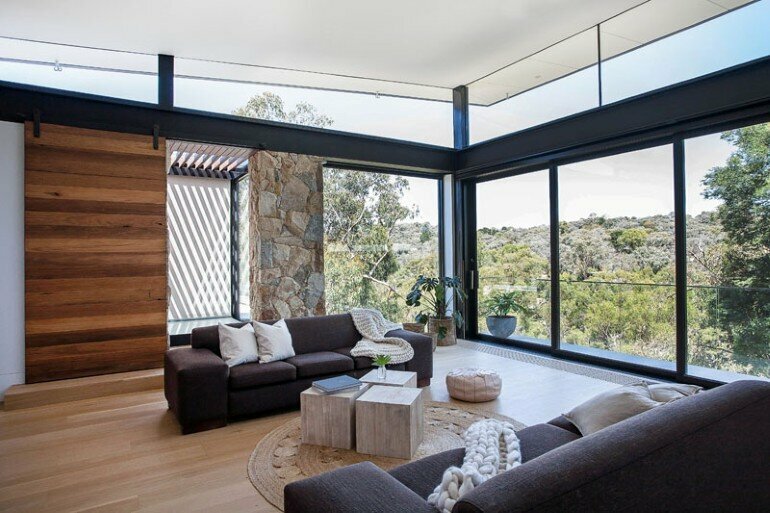 The Warrandyte house is modest in area with a highly efficient & elegant plan offering flexibility, growth and practicality for its young family. 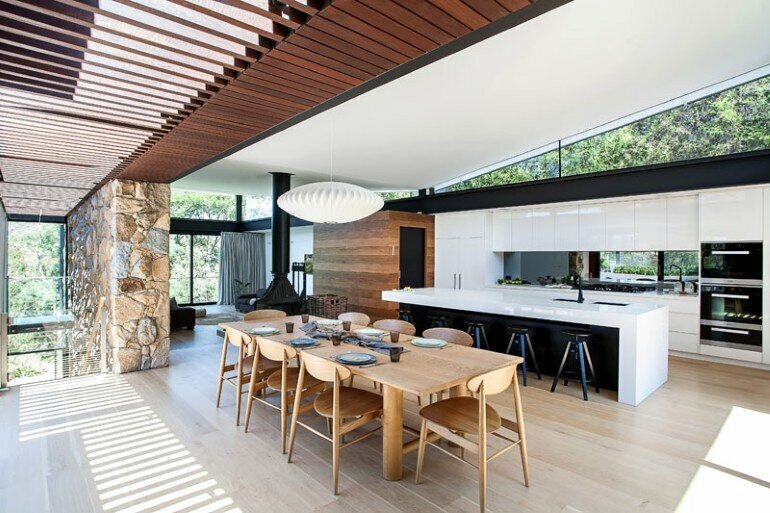 Twin butterfly roofs lift the eaves to catch daylight from every direction and enhance the sense of space and connection to outdoors. 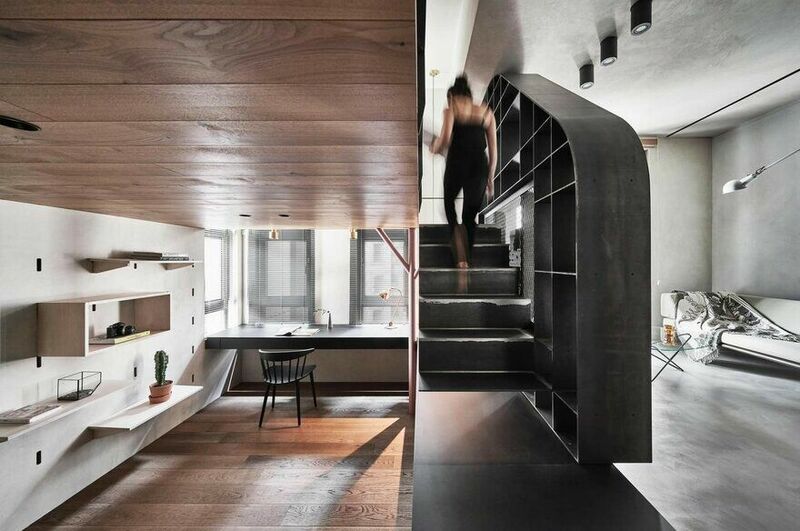 A glazed circulation slot creates a dramatic but efficient connection between the two forms. 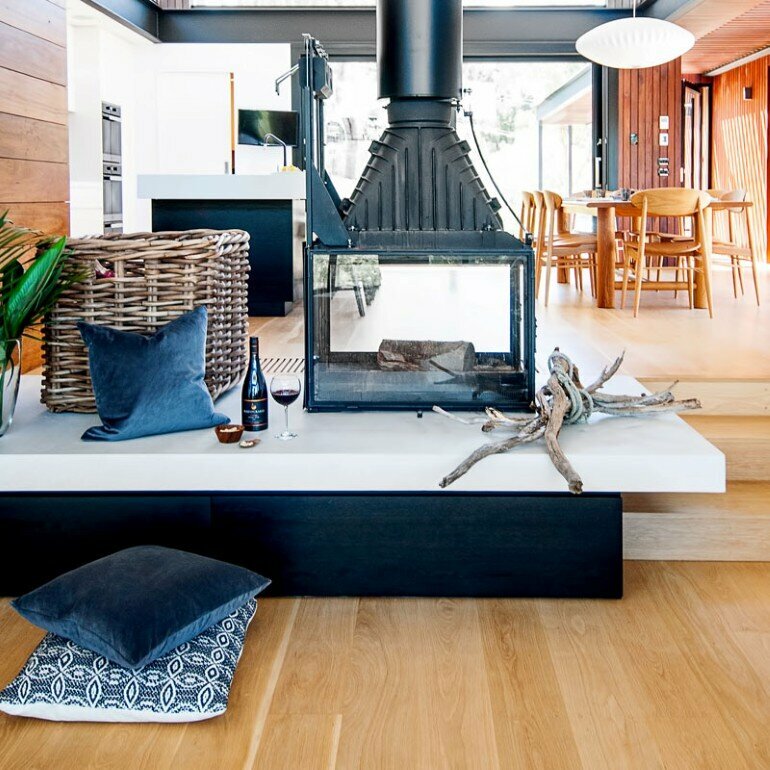 A generous roof terrace with external fireplace and arbour allow for contemporary outdoor entertaining as the natural terrain of the site falls below, relatively untouched.